With the rapid acceleration of VOIP and wireless technology, telecommunications systems have never had so much potential to help businesses be more productive for less money. 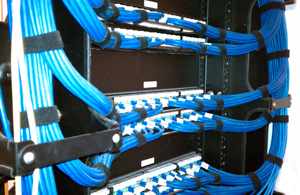 Teleconnect Communications designs, installs, and services systems from all of the leading manufacturers including IPitomy Communications, Nortel and Allworx. Teleconnect Communications provides the most equipment selection in the industry – no other equipment dealer even comes close. This means when you work with Teleconnect Communications you will not be forced to stick to one particular manufacturer but instead you will have access to the very best technology from across the industry. Unlike other vendors, we take a consultative approach with our clients – always visiting a customer's location and listening closely to their needs. Based on the site visit, customer requirements, and our expert knowledge of the available technology, we make a recommendation on which product would be best for your business.